These Keto Flourless Mocha Brownies are the ultimate low-carb chocolate treat! This recipe is simple to prepare and results in deliciously fudgy brownies that are not only incredibly low in carbohydrates, but are also paleo-compliant and nut-free! The only true way to elevate chocolate? Add espresso. There’s a reason mocha-flavored coffee drinks are so popular! 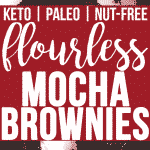 The flavors in these Keto Flourless Mocha Brownies compliment each other so perfectly that your taste buds are left singing after each bite! To further elevate these brownies, there’s double the chocolate! Baked with 100% Baker’s chocolate and unsweetened cocoa powder, you can be sure that this diet-friendly dessert recipe will satisfy all of your cravings for something chocolatey! These brownies are not only made without flour, they are also made without any nut-containing ingredients, making them a safe option to prepare for those with a nut allergy or nut intolerance! These brownies are sweetened with Lakanto Monk Fruit Sweetener, my favorite net-carb-free and all-natural sweetener. I have been a longtime customer of Lakanto and am always so impressed with the quality of their products. If you are unfamiliar with monk fruit sweetener, it is a great sugar substitute that is naturally-occurring and tastes like traditional sugar; however, unlike traditional sugar, the sweetness of monk fruit sweetener comes from mogrosides, a chemical compound, rather than fructose or sucrose. Monk fruit sweetener doesn’t spike blood sugar and is safe to consume for those with diabetes or candida. If you follow a low-carbohydrate, ketogenic diet, monk fruit sweetener is a pantry-necessity! If you are looking for a sweetener that is keto-friendly, vegan, and paleo-compliant, I highly recommend trying Lakanto Monk Fruit Sweetener! You can use code “REALBALANCED” for 20% off your total order! You can also find a compiled list of over 40 keto dessert recipes sweetened with monk fruit sweetener here! Want to learn more about monk fruit sweetener? Check out this post! 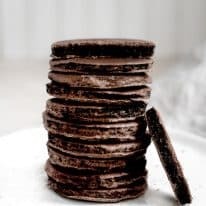 These Keto Flourless Mocha Brownies are a perfect dessert for those who follow a low-carb, paleo, vegetarian, and/or nut-free diet! Keto and Low-Carb: One brownie contains only 1.8 grams of net carbs per serving, making them a great dessert choice for those who follow a ketogenic diet. Paleo: This recipe is compliant with a paleo diet as it is free from gluten, grains, dairy, soy, and refined-sugar. Dairy-Free: These brownies are made without any dairy products (however, butter can be substituted for coconut oil, should you need a coconut-free recipe). Nut-Free: This recipe is both flourless and nut-free. Gluten-Free and Grain-Free: This recipe is free from gluten and grains. 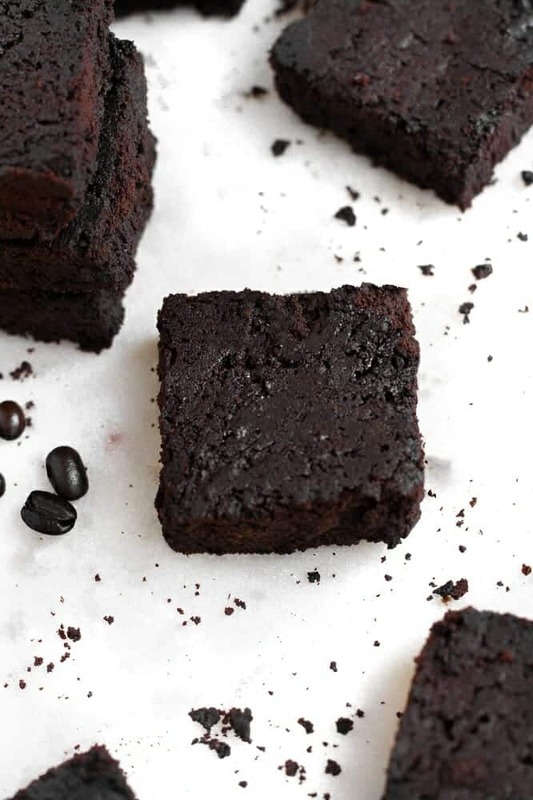 Vegetarian: These brownies are compliant with a vegetarian diet. 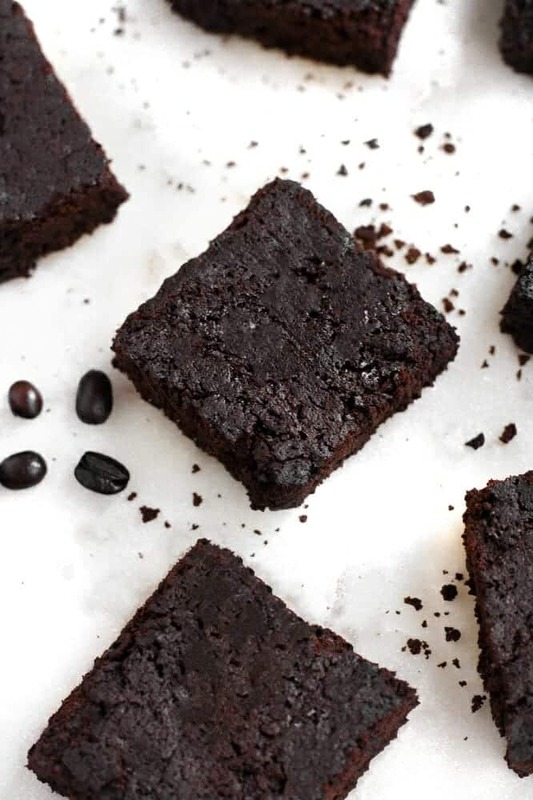 Refined-Sugar-Free: These brownies are made without refined-sugar and are, instead, sweetened with monk fruit sweetener. One brownie slice contains only 1.8 grams of net carbs per serving. This recipe yields approximately 12 slices. 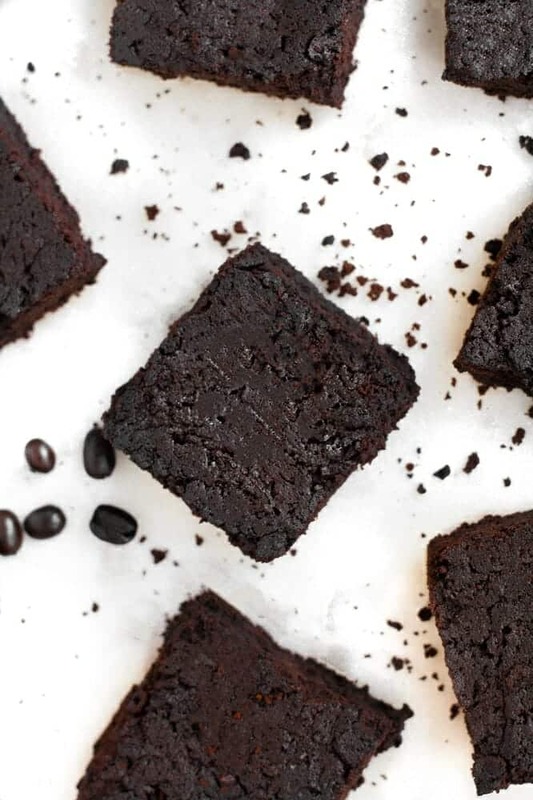 These Keto Flourless Mocha Brownies are keto, low-carb, paleo, dairy-free, nut-free, gluten-free, grain-free, vegetarian, refined-sugar-free, and includes a coconut-free substitution. 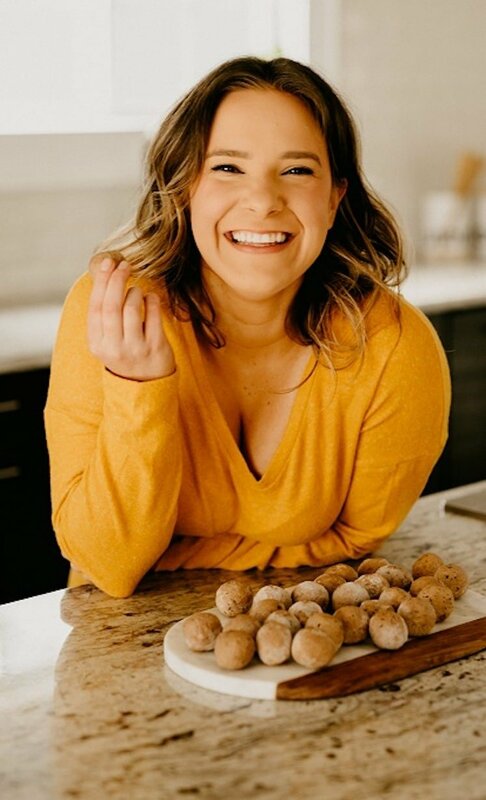 Looking for more low-carb and keto-friendly dessert recipes? These Keto Flourless Mocha Brownies are the ultimate low-carb chocolate treat! 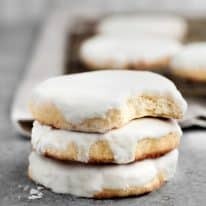 This recipe is keto, low-carb, paleo, dairy-free, nut-free, gluten-free, grain-free, vegetarian, refined-sugar-free, includes a coconut-free substitution, and contains only 1.8 grams of net carbs per serving! Preheat oven to 350 degrees and grease 8×8 baking pan with coconut oil (* see note below). To a small stainless steel or glass bowl, add Baker’s chocolate bar and coconut oil. Using the double boiler method with a small pot over medium-low heat, melt and combine chocolate and coconut oil, whisking occasionally. Once chocolate has melted, reduce heat to low, add 1/2 cup monk fruit sweetener, and wait for sweetener to dissolve, whisking often (be patient! This can take upwards of 15 minutes). Set aside to cool slightly. Separate egg yolks from egg whites into two large mixing bowls. Using an electric mixer, mix egg whites on high-speed until stiff peaks form. To mixed egg whites, add 1/4 cup monk fruit sweetener and electric mix on low until well-combined and egg whites become glossy. Rinse off beaters from electric mixer then mix egg yolks and remaining 1/2 cup monk fruit sweetener on high-speed. To bowl of yolks, add melted chocolate mixture, cocoa powder, espresso powder, salt, and vanilla extract and electric mix again on high-speed. Slowly, in small batches, pour mixed egg whites into bowl of chocolate mixture and gently fold together using a rubber spatula until thoroughly combined. Transfer mixture to prepared baking pan. Bake brownies until toothpick can be poked in and comes out clean, about 35-40 minutes. Remove from oven and allow to cool before slicing and serving. 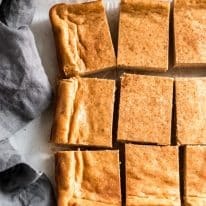 * To ensure pan is well-greased and that brownies will not stick, I suggest brushing 1-2 tsp melted coconut oil on all edges of the loaf pan and placing it in the freezer to solidify. Did you really mean one serving is 24.7 carbs??? But 1.8 net carbs?? ?Thank you for response please? 24.7 grams of total carbs, 1.8 grams of net carbs (total carbs – fiber – sugar alcohols = net carbs). One serving contains 1.8 grams of net carbs. Of course, Margie! Thank you so much for your recipe rating!! !